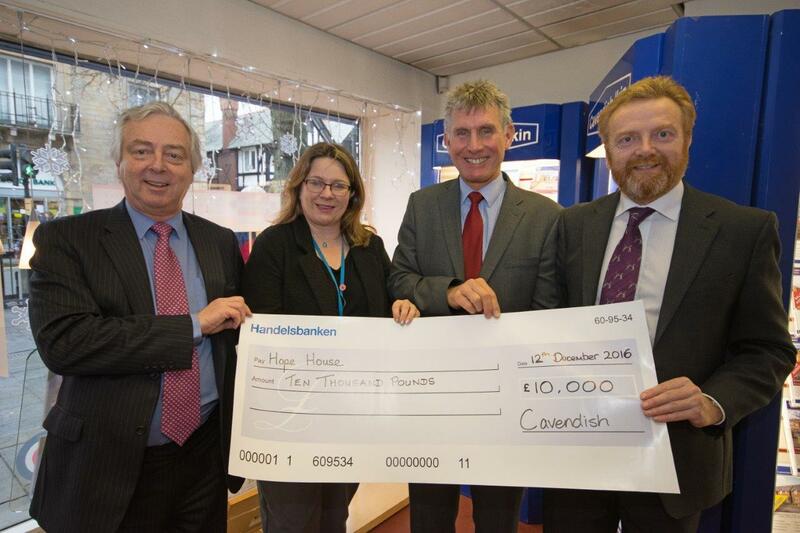 Cavendish Residential £10K donation for Hope House! Cavendish Residential continues support with a £10K donation for Hope House! Cavendish Residential has continued efforts in support of local charity, Hope House, who is well respected for their work they do for families in less fortunate position to ourselves. To date we have raised in the region £35,000 (50% from clients and 50% from ourselves). Hope House need more than £6 million to operate. Furthermore, we are presenting the £10,000 cheque on Thursday 15th December to the lovely people at Hope House. Hugh Evans, of Cavendish Residential, said: “We are delighted to support Hope House. It’s such a great opportunity for us and our clients to raise awareness for such a worthy cause”. Hope House Children’s Hospices – Hope House at Oswestry and Tŷ Gobaith at Conwy – provide care and support to life-limited children, young people and their families from Shropshire, Cheshire, North and Mid Wales.